VETERAN reporter Ed Moloney has said that he warned Richard O’Rawe about an inevitable backlash from former republican associates if he went ahead and published his book. O’Rawe’s claims that the Sinn Fein leadership sabotaged a possible resolution to the protest in order to further the party’s political fortunes has caused a storm of controversy which has gained momentum ever since. Having covered the unfolding situation at the Maze prison as a journalist, from the blanket protest through to the first and later the second Hunger Strike on which 10 men died, the former Irish Times and Sunday Tribune northern editor said claims contained in Blanketmen came as no surprise to many. “I not only read Richard’s book at an early stage I helped edit it and advised him strongly at the time not to publish it,” he said. “I told him they, and by they I mean primarily the Sinn Fein leadership, would make his life very difficult. “Knowing Richard, where he lived and the background he came from, I was aware from previous personal experience that it would get very rough for him. Mr Moloney, who lives in the US, is expected to reveal new material on the republican movement in a book due out early next year. The book includes a series of interviews with top republican Brendan ‘The Dark’ Hughes before his death last year. Hughes had been a former OC of the IRA’s Belfast brigade and was leader of the 1980 republican Hunger Strike in the Maze. During his conversations with O’Rawe, Mr Moloney said he was aware that he had delayed publishing his book Blanketmen until the peace process was firmly embedded. “He did this so he couldn’t be accused of causing the Sinn Fein leadership problems,” Mr Moloney said. “Covering the Hunger Strike as a journalist, even back then at a republican grassroots level, there was a general feeling that it had just gone on for far too long,” he said. “Ten deaths was excessive and went way beyond anything that they had previously asked their prisoners to do. “To leave the decision up to the prisoners themselves was thought by some to be a tactical move. Mr Moloney said it was fairly well recognised that the 1981 Hunger Strike was the Provos’ Easter Rising. “So many horrendous horrible acts had gone before it that this supreme sacrifice and unfaltering belief was a kind of justification for the IRA’s campaign,” he said. “It was also the very start of the modern peace process and the beginning of Sinn Fein’s electoral and political strategy. “More recently, evidence uncovered by Liam Clarke [who reported details of British government documents which were released to The Sunday Times earlier this year following a freedom of information request], if not entirely settles the matter, then takes us to a point where explanations are certainly required. “There have been changes to some people’s stories that are so significant it begs the question why? TONY O’Hara last saw his brother Patsy alive two days before the Derry man died on the 61st day of his hunger strike on May 21 1981. At the time O’Hara was an INLA prisoner at the Maze serving a sentence for possession of arms. He died on the same day as IRA hunger striker Raymond McCreesh from Camlough, Co Armagh. “For the entire duration of the 61 days I got to spend two hours and 15 minutes with Patsy. Even though I was in jail I was brought in handcuffs from H5 to the prison hospital – a short trip,” Mr O’Hara said. Two days after seeing his brother Mr O’Hara, whose first cell mate was Bobby Sands, heard of his younger brother’s death on a crystal radio set smuggled into the jail. “Another prisoner came to his window and shouted but I sort of knew. I was waiting for it when news came,” he said. Mr O’Hara was given 12 hours compassionate parole to attend his brother’s funeral and just two months later he was released. “When Patsy died I just felt numb. I remembered what it was like when Bobby Sands died,” he said. “On the night he was elected there was elation. We just, everyone just, celebrated and cheered. Although any deal, real or not, would not have saved O’Hara’s life, the INLA man’s family is one of those demanding an inquiry into the Provisionals’ management of the Hunger Strike. Mr O’Hara’s concern is that the Sinn Fein version of events has changed too often since Richard O’Rawe published his account of a possible deal in 2005. He is also concerned that the INLA leadership was never told of the possible deal despite the fact that two of its members -– Kevin Lynch and Michael Devine –- died after it was alleged to have been made. “It could have been a propaganda coup for the blanketmen and we could have said the Brits reneged on a deal,” Mr O’Hara said. He believes the Provos tried to manipulate the Hunger Strike to exclude the INLA as much as possible. “Patsy was to be the second to go on strike after Bobby Sands but Francie Hughes created such a rumpus that he went second,” Mr O’Hara said. He accepts there could be a number of reasons for the Sinn Fein leadership deciding not to accept the deal. “There is a lot of speculation and I don’t know the reason but that is one of the big questions that must be asked,” Mr O’Hara said. He disputes the various statements put forward by the Sinn Fein leadership in recent months, not least a claim that all prisoners were told of the deal in 1981. Mr O’Hara is adamant that only a full inquiry, chaired by an international human rights figure, will get to the truth. I once attended an evangelical meeting where a “hymn” written by a hunger striker was occasionally sung. Thomas Ashe was a 1916 leader who died after force feeding went wrong in 1917. Early last century Dublin-based evangelical Christians Eva and Clara Stuart Watt encouraged people to emulate the resolve of republicans in the service of Christ. Self-sacrifice was not, however, to be taken literally. They found inspiration in Thomas Davis’s A Nation Once Again especially the words, “and righteous men must make our land a nation once again”. For a righteous person violence was not an option. Killing for any earthly cause was repudiated. Yet the need for bloodshed was accepted but applied only to the “blood of Christ” whose suffering and death was the sacrifice to end all sacrifice. The horror of human or animal sacrifice was rejected. The kind of “reasonable service” that evangelicals were called upon to make was, in the words of St Paul, a “living sacrifice”, meaning a life lived for God and one’s fellow man. In contrast so many animal sacrifices took place in the Jerusalem temple before AD70 that blood spilt into the Jordan River was used by local farmers as fertiliser. Hunger strikers fasting onto death were sacrificing their own lives. This act may be respected as courageous, revered as an example of dedication or perhaps deemed as wasteful. On the day Bobby Sands died a deep hush pervaded the whole camp. Loyalists respected his courage. They had also wanted changes in prison conditions and led the way in support of political status in 1972 while some republicans were hesitant. Loyalist aims were obscured somewhat by their demands for segregation. The idea that prisoners deserve humane living conditions is of ancient vintage and perhaps derives from the Quaker emphasis on “that of God in everyone”. Elizabeth Fry (1780-1845) was a Quaker who dedicated her life to the welfare of prisoners. Support for humane prison conditions even reached into the heart of the Orange Order. A friend in my dad’s Orange Lodge was secretary of the Prisoners’ Aid Society who gave occasional talks at Orange functions about prisoners’ needs. The idea that people might die for the right to wear certain clothes or for certain “privileges” was highly questionable. The violence of the IRA campaign had caused revulsion while unhelpful rumours that Long Kesh was a home from home did not help. Some students were angry that prisoners should gain qualifications at the taxpayers’ expense while they lived with financial difficulties. It was not fasting itself that was considered repugnant but fasting unto death that even some republicans baulked at. Any hint of manipulating people’s deaths for private or political ends was regarded as repulsive. When some loyalists participated in the early dirty protests and hunger strikes, this went against the grain. They were criticised for “lending support to republicans” and became pariahs, demonised by republicans while demeaned and ostracised by many of their own people. Progressive loyalists were sometimes damned as “rotten Prods”. This was especially difficult given that it was the oratory of unionist leaders that led many of them to take up the gun in the first place. When militant clergy disowned their proteges, this fostered cynicism. Loyalists usually hailed from the most deprived sections of the community but they could see that hunger strikes to the death were extremely emotive events that could raise dark and deadly ancestral voices. To associate the dying hunger striker with Christ was a form of dangerous idolatry. This might explain why even progressive loyalists remained uneasy about a museum associated with the hunger strikers’ deaths. Yet those who died in this way could be seen as in some sense Christ-like. They were victims, even if it was at their own hands. However, to manipulate their deaths for party political ends, if this is what happened, was surely the ultimate abuse of human suffering. Yet strangely the final outcome proved to be a political path which had the capacity to free us from the ways of death. All this changed when the British went for wholesale confrontation and picked on what they mistakenly thought was the most vulnerable section of the republican movement – our imprisoned comrades. The meeting was private, though later misrepresented by others. It was the first time that many of the families had met since those heart-rending seven months in 1981. Nothing could be further from the truth. According to our critics, the hunger strikers, on whose behalf we were acting, should have accepted an ‘offer’ which came to the prisoners and us, via a phone-call from a British official in London, through the intermediary (since identified as Brendan Duddy – an honourable man), to myself, to a phone-call to Gerry Adams, and in a verbal message to Danny Morrison to the prisoners. Left Kieran Doherty’s parents Alfie and Margaret with Sinn Fein president Gerry Adams. Kieran Doherty, known as ‘Big Doc’, was on hunger strike for 73 days before his death on August 2 1981, the longest of any of the 10 men who died. Elected as a TD to Cavan Monaghan in June 1981, for the last 16 days of his life members of the Doherty family kept a round-the-clock vigil by his bedside in the hospital wing of the Maze prison. His mother Margaret, now 82, said until the very end he remained adamant that he was not to be taken off the protest until the five demands were not only achieved but copper fastened. A convert to Catholicism, Margaret Doherty had moved from the staunchly Protestant Shankill Road to Andersonstown after marrying her now late husband Alfie. She says that her son’s belief in what he was doing left the family with no option other than to give him their support. “Kieran knew he was likely to die. He told us that from the start,” Mrs Doherty said. “He was a great son. He had a very strong faith; he never missed his Mass no matter what. “When he knew he was near the end, he told his father not to worry. ‘It’s only a wee step over to the other side’, he said. “And he made us give our word he wouldn’t be taken off unless the demands were met. “Up until then you should have seen the way they were being treated. As a mother it just tore at your heart. “Before the Hunger Strike started he had spent a week in hospital, he had been beaten so badly during a search. “Kieran knew the Hunger Strike wasn’t going to benefit him because he was going to die. He did it for the other lads because they couldn’t have survived much longer in conditions they were living in. Representatives of the Doherty family attended a recent meeting in Co Derry with Gerry Adams and Bik McFarland to discuss the controversy surrounding the Hunger Strike. In a statement, they told The Irish News: “These totally untrue allegations have caused untold hurt and anguish to our family and we feel sully the proud memory of Kieran and his comrades. “What hurts more is that the nasty and spiteful allegations come from people who should really know better – former comrades and people who claim to be republicans. “We were at Kieran’s side throughout what was a traumatic time for our family. “Kieran was determined to see the protest through until the five demands had been achieved. ‘Set in concrete,’ were his very words. “Due to the position of Margaret Thatcher and the British government a deal was not secured; we knew that at the time and we know it now. The families of Francis Hughes and Thomas McElwee (who were cousins) from Bellaghy declined to take part in this investigation. Following individual family discussions, they said they believed the issue had been dealt with. The families of the five other hunger strikers who died were approached by The Irish News but also declined to take part. MICHAEL Og Devine was just eight years old when his father, also Michael, became the final hunger striker to die on August 20 1981 after 60 days without food. The INLA prisoner told Tommy McCourt, a friend who visited him just days before his death, that he could not come off the Hunger Strike. Mr McCourt has recalled how the two men discussed Devine’s funeral arrangements. His dying friend told him if he came off the Hunger Strike -- and thereby ended the protest -- his life would not be worth living in the H-blocks. His son, Michael Og, recalls that although very young he was fully aware he was seeing his father for the final time during their last visit days before his death. Had the British government’s offer to make a statement conceding some of the hunger strikers’ five demands been accepted by the Provisional IRA leadership and had the protest ended, Devine (26) would not even have gone on hunger strike. He commenced the protest on June 22. But like his fellow INLA prisoner Kevin Lynch and the INLA leadership, he was never made aware of the negotiations prior to the death of Joe McDonnell on July 8. Michael Og believes the version of the deal and events put forward by Willie Gallagher of the IRSP. “I believe Willie would not tell me lies. He has been working on this for three years,” Mr Devine said. As to whether his father would have declined to go on hunger strike if he had known a deal was offered and rejected, the Derry man says that is too difficult a question to answer. “If there was a deal there, I don’t know how he would have reacted,” he said. Following a private meeting between Hunger Strike families and Sinn Fein president Gerry Adams in Gulladuff, a statement was issued saying most of the families, including the Devines, accepted the Sinn Fein version of events. But the statement was signed on behalf of the Devine family by members of the hunger striker’s extended family. However, Michael Og is adamant that he did not and does not support the statement. He said he is not angry at present about the controversy, but he believes all the facts should be revealed and that this can be done only through an independent inquiry. THE HUNGER STRIKE Was there a deal? WHEN Richard O’Rawe first made the claim that the British had been prepared to reach a deal during the 1981 Hunger Strike but that it was rejected by the leadership of the republican movement, I believed the claim to be totally unfounded. In the intervening period it has been disproved by documentation from the period and by a broad spectrum of individuals involved at the time. Nevertheless, the controversy has rumbled on, fuelled by an assortment of disaffected former members of the republican movement and political opponents of Sinn Fein. The ‘debate’ has therefore more to do with contemporary political machinations and allegiances than it has to do with the Hunger Strike. Trying to ‘answer’ the claim is a bit like trying to convince an alcoholic that they’d be much better off not taking that next drink. There will never be an answer that will suffice, a response that will be adequate. For the families of the six who died later that summer and for the thousands of ordinary people who did so much for us during that period. The Tory government of Maggie Thatcher is infamous for the trail of suffering, death, social upheaval, destruction of communities, and removal of civil and workers’ rights that it wreaked not just in Ireland but in Britain itself. But let’s just suppose for a moment that it wanted to end the Hunger Strike. Britain acts only in Britain’s interest so if it was decided that it was in their best interest to concede some or all of our demands it would not have been out of some humanitarian sentiment but because not to do so would be damaging to Britain’s long-term interests. So, this Tory cabinet of Maggie Thatcher, having decided that it was in Britain’s best interest to act to break the Hunger Strike, comes up with a list of concessions they are prepared to make, presents this to the leadership of the republican movement, who supposedly reject them and what do the Brits do? They walk away with their tails between their legs. Is this the same government that cold-bloodedly slaughtered the Argentinean sailors on the Belgrano? That smashed the powerful National Union of Mine Workers and left whole mining villages and communities desolate? If the British had thought it was in their interest to end the Hunger Strike then they would have done so regardless of what the republican movement did or did not do. They would simply have gone to the media – having first confided with and secured the support of the SDLP, the Catholic hierarchy and the Dublin government – and announced concessions they were prepared to make. We on hunger strike would then have been faced with either calling it off or trying to continue with a now deeply divided support base, not to mention internal and family divisions. So why did the Brits not do that? If indeed they ever had any real intention of doing it. A BBC Timewatch programme produced in 1994, a full 11 years before Richard O’Rawe’s claim, possibly holds the answer. I did an interview for the programme and the producers got access to many senior British government officials from the time. In casual conversation with the producer I asked if the civil servants, particularly in the Northern Ireland Office (NIO), had felt a bit like ‘piggy-in-the-middle’, forced to hold to Thatcher’s uncompromising line while having to deal with adverse publicity from around the world. The producer replied that everything they had discovered indicated that Thatcher at one point was going to make concessions but that when the Northern Ireland Office (NIO) got wind of it top civil servants, including the governor of the prison, Stanley Hilditch, threatened to resign. As soon as he said it I realised it made absolute sense. Of course the civil servants in the NIO (unionists) would be more opposed to any concessions to republican prisoners than the British would. It was personal for them. They lived here. They ran the place. They were the ones who formulated policies and how they were implemented on the ground including the criminalisation and Ulsterisation policies. Stanley Hilditch had actually cut short a holiday at Christmas 1980 to return to the prison and personally handle the aftermath of the first hunger strike. So, the producer of the programme added, threatened with rebellion on their doorstep it appears the British government decided it best to weather the storm (of the Hunger Strike) rather than follow through with their ‘offer’. That was his version of events. What we know for definite is that during the Hunger Strike there were always offers from the British but never a deal. And given that four comrades had already died and the hunger strike of 1980 had ended with not the merest crumb of concession there was no way we were ending ours without a concrete, copper-fastened deal witnessed by guarantors who could stand over it. And anyone who was on it or involved with it, including Richard, knows that to be the case. Such was our suspicion and distrust of the British. In the peace and tranquillity of 2009 it’s easy to forget that. To de-contextualise events. To forget the power of the emotions then and the strength of convictions. It’s also easy to wish it could somehow have been different. What is unforgiveable though is to attempt to make cheap political gain from those events and in the course of it to cause hurt. THE HUNGER STRIKE: Was there a deal? As one of the 300 Spartans who spent years on the blanket protest and as the prisoners’ PRO during the 1981 Hunger Strike, I have drawn great inspiration and strength from my 10 heroic comrades who died on hunger strike. Some years ago I published a book entitled Blanketmen in which I recounted my first-hand experiences of that time. It was instantly slated as ‘scurrilous’ and ‘slanderous’ by some republicans, who, instead of engaging in a respectable debate about the issues I had raised, demonised and vilified me. One leading republican said that I “should hang my head in shame” and that my book should have been called, ‘On another man’s hunger strike.’ It is not I who should hang my head in shame. I have told no lies. In my book, I said that on July 5 1981 Danny Morrison came to the prison and made our OC, [Brendan] Bik McFarlane aware that someone called the ‘Mountain Climber’, a contact with the British government, had delivered an offer to the IRA leadership. I offered that a communication came into the prison from Gerry Adams on July 6 1981 which said that the Mountain Climber offer did not validate the deaths of our four comrades and that more was needed. McFarlane denied that this occurred. Matters stayed like that for about four years. Then in May 2009, at a Hunger Strike conference in Derry City, things changed dramatically. The journalist Liam Clarke had obtained, under the Freedom of Information Act, a copy of the July 5 Mountain Climber offer. For the first time in 28 years, I found out that the offer was, in fact, a statement from the secretary of state for Northern Ireland, which was to be released in the event of the Hunger Strike ending. Brendan Duddy (the Mountain Climber), who had been a panellist at the Derry City conference, confirmed that he had passed this statement on to the IRA leadership. The importance of this cannot be overemphasised because here was the document which determined the fate of the last six hunger strikers. No evidence exists to say that the hunger strikers ever set eyes on this document. Certainly, it was never smuggled in to Bik McFarlane or me. Who took the decision to withhold this decisive document from the prison leadership? Did they also keep it from the hunger strikers, and if so, why? Brendan Duddy also confirmed that the message the IRA sent back to the British was that “more had to be added”. Former blanketman Gerard ‘Cleaky’ Clarke then affirmed that he had heard the crucial conversation between Bik McFarlane and me. These revelations prompted the collapse of Bik McFarlane’s position. So, in the space of a couple of sentences, Bik confirmed that what I had always said was true – there had been an offer after all, he and I had liked the look of it and we had a very positive conversation about it. I had been looking forward to a healthy public debate with Gerry Adams, Danny Morrison and Bik McFarlane at the Derry conference in June but unfortunately they declined the offer to attend. Instead they chose to convene a closed meeting with some families in Gulladuff, south Derry in July and no-one with an alternate account to theirs was invited. A motion that Willie Gallagher of the IRSP and I stop any further probing into the Hunger Strike failed to get unanimous support. Not to be outdone, however, the next day Sinn Fein members visited the families throughout the north and asked them to sign a pre-prepared statement which incorporated the failed motion from the night before. Some families did sign the statement and those who did not released their own statement publicly asking Gerry Adams, Danny Morrison, Bik McFarlane and myself to support an independent inquiry into the events of 1981. Having nothing to hide, I responded positively. The others have not. Despite the viciousness of the attacks on me, and despite the intensity of the ongoing debate, nothing in my approach is intended to, or could ever detract from the heroic sacrifice of the Hunger Strike martyrs. Regardless of what people may choose to say or think, I have no political agenda. My intention has always been to seek the truth and nothing less, something which the hunger strikers and their legacy deserve as a matter of respect. That, I suggest, is the sacred duty of all of us who bore witness to this momentous event in Irish history. The image of those eight hunger strikers for me has never dimmed. Clothed predominantly in the white attire of hospital, the weakest sitting at a table, water jugs and mugs in hand, the strongest seated on higher tables, or standing behind. That scene has stayed with me over the last 28 years and will remain imprinted in my brain as long as I live. They had been brought together as a group from their hospital beds to meet us in the canteen of Long Kesh. Bright articulate young men, some reserved and quiet spoken, others defiant and inquisitive, eyes accentuated, all in various stages of physical decline, eager to live, ready to die. Like their image, respect for them has never dimmed. I met them as part of the Irish Commission for Justice and Peace (ICJP) as we sought to explore the possibility of squaring their five demands by stretching the British prison regime to a more enlightened, humane, innovative and educationally positive system. The Irish government gave us their full support. After much coming and going, a best offer was finalised involving new rights on clothes, work, recreation/education, remission and association. The hunger strikers were positive but cautious, wanting the wider view of their comrades. The prisoners on July 4 issued a statement indicating that a settlement along such lines should be considered. We were meeting with the relatives and some H-block committee members when the prisoners’ statement reached us. With good reason, the meeting finished with the view that the choreography of concluding the Hunger Strike without further loss of life was being set in place. Next day we met again with the relatives and on this occasion Sinn Fein representatives were present. The relatives made clear their wish to go for the ICJP-brokered offer. A senior IRA representative left the meeting early, without saying where he was going, and went in to see the hunger strikers. When we later visited the hunger strikers that night, their mood had hardened but a number of them clearly indicated that what was on offer was acceptable. Eventually all agreed that if the British government sent a delegate into the prison and read out the offer it would be accepted. This condition, we were told, had been demanded as a minimum by the IRA representative who had visited them. Double dealing on the earlier botched hunger strike was given as the reason for this demand. We went back to the British and it was agreed that an envoy would visit the hunger strikers to read out the offer. As we all know, the British prevaricated and Joe Mc Donnell tragically died before any visit was made, triggering a whole new scenario. The ICJP next day railed against the British government for its unpardonable complacency and indicted its utterly callous conduct. Four years ago – when I reviewed Blanketmen [by Richard O’Rawe] – I asked that a sane debate take place on its principal assertions, instead of the vilification of its author. I also suggested that were the Mountain Climber, the British and the republican leadership to spell out what they knew, it would be possible to reach informed conclusions. The British, via the Freedom of Information Act, have now put new material into the public domain. Mountain Climber has now stated that he passed the British offer to his IRA interlocutor. In what form did the offer come? Was British secretary of state [Humphrey] Atkins able to sign off if he got an affirmative reply from the IRA? It now appears he was. Did those in the republican leadership understand that? Parallel Republican writing that Margaret Thatcher wished a settlement suggests they did. This exchange was at least a day before the hunger strikers were told to demand, via the ICJP, verification from the British authorities. If the IRA had the British offer, why were the hunger strikers being put through a ritual? The hunger strikers, on the instruction of the IRA, were demanding that the ICJP deliver the British to deliver an offer statement. And the British, whilst agreeing to deliver the statement, apparently were waiting on the okay from the IRA before delivering the statement to the hunger strikers that they had already delivered to the IRA. And all the while, a hunger striker was slipping in and out of consciousness, edging closer to death. Too grotesque to contemplate. But it happened. Why? Truly, in the name, honour and dignity of the hunger strikers, explanation and clarification is needed. This is not said for any reason other than that I genuinely do not know for sure, to this day, where the motivation of others lay. I do know that we in the ICJP had an honourable resolution that would have saved the lives of six hunger strikers and that it was acceptable to the hunger strikers. It appears from the British statement, given to the IRA via the Mountain Climber, that the British were ready to stand over all that had been agreed with the ICJP. But were they only ready to go public on it if they got thumbs up from the Republican leadership? Was there procrastination on the IRA side where a clear affirmative response would have sealed the deal and saved those lives? Was there a rejection? Did the IRA genuinely overplay their hand believing that once the British were into dialogue more could be extracted? The high regard that many serious political leaders now have for the republican leadership relates to their focus on ‘the long game’. Did ‘the long game’ focus come into play on this occasion? Republican leadership has been assiduous in having its tale of ‘the struggle’ committed to history, but the Hunger Strike has been given a wide berth. He was right about that, but whatever those views feelings and passions, it is time for truth to shine. IN compiling this special edition extensive efforts were made to contact most of the main players from the hunger strike era. Attempts were made to get the views and recollections of British government and Northern Ireland Office officials from that period. However due to ill-health, the then prime minister Margaret Thatcher and Secretary of State Jim Prior, who took over the role towards the end of the Hunger Strike, were not available. Humphrey Atkins, who was secretary of state from 1979 to September 1981, and Prisons Minster Michael Allison, have both since died. Others including Lord Gowrie who followed Mr Allison, were not available for interview, while former senior prison officials in the Maze have since died or were unavailable for comment. Sinn Fein President Gerry Adams was asked for his views on the hunger strike but was not available. Danny Morrison, Sinn Fein publicity director during the hunger strikes, declined to take part as did Brendan ‘Bik’ McFarlane, IRA ‘Officer Commanding’ in the jail at the time of the strike. BLACKBALL****A letter in the Irish News on April 7, 2009, by Richard O’Rawe, discussing the 1981 hunger strike, claimed that documents newly released under the FoI Act stated that ‘republican negotiators, Gerry Adams and Danny Morrison, changed their minds when the British warned that they were going to pull the plug on the process’. We have been asked by Mr Morrison to make clear that he was not named in the documents. THE explosive events of 1981 saw violence erupt on the streets of Northern Ireland on a scale not seen since the early 1970s. The year was regarded as a Troubles watershed with the Hunger Strike inflaming tensions outside the Maze Prison. In that year 118 people lost their lives. Of those killed, civilians accounted for 54 of the deaths, with 21 RUC officers, 11 soldiers and 13 UDR members among the dead. Sixteen republicans and three loyalists also died during 1981. According to the book Lost Lives, republican activity resulted in 75 deaths. Loyalists were responsible for 14, the British army for 13, the RUC for three and the UDR for one. When Bobby Sands became the first hunger striker to lose his life, news of his death quickly led to violence and further death. Just a day after he died a policeman, Philip Ellis (33), was killed at Duncairn Gardens in Belfast as officers tried to prevent rival factions from clashing following Sands’s death. School children accounted for many of those who lost their lives during the turbulent year. One of the first to die was Protestant teenager Desmond Guiney. The 14-year-old from Rathcoole died after a mob stoned his father’s milk lorry on the New Lodge Road in north Belfast. Missiles were thrown at the vehicle causing it to crash into a lamp-post. His father Eric died almost a week later from his injuries. In the aftermath of the death of hunger striker Francis Hughes, another child became a victim of the spiralling violence. Julie Livingstone (14), who was a Catholic and from the Lenadoon area of west Belfast, was hit and killed by a plastic bullet fired by British soldiers on the Stewartstown Road. Another Catholic schoolgirl to lose her life during 1981 was Carol Ann Kelly (11) who was also killed by a plastic bullet fired by soldiers as she walked home in the Twinbrook area of Belfast. Father-of-seven Henry Duffy from the Creggan area of Derry was also killed after being hit by a plastic bullet fired by soldiers on May 22 1981. His death came during serious rioting throughout the Bogside following the death of Derry hunger striker Patsy O’Hara. That year also saw the death of the first Northern Ireland MP to be killed during the Troubles. The Rev Robert Bradford (40) was shot by IRA gunmen at a community centre in the Finaghy area of Belfast on November 14. The IRA claimed he was “one of the key people responsible for winding up the loyalist paramilitary sectarian machine”. His death triggered a security crisis and was followed by the killings of a number of Catholics including Stephen Murphy, Thomas McNulty and Peadar Fagan, who were killed in separate gun attacks. INLA member James Power was also killed during 1981 when a bomb exploded prematurely as he attempted to disarm it. The bomb had been intended to kill members of the security forces. He remains the only INLA member to have been killed while handling explosives. And on May 16 Patrick Martin, a Catholic father-of-one, was shot six times by the UDA/UFF while lying in bed at his home off the Crumlin Road in Belfast. The UDA/UFF claimed he had been at the funeral of Bobby Sands. Later in July 1981 John Dempsey, a member of the IRA’s Fianna youth wing was shot by soldiers at the Falls Road bus depot during disturbances. Between May 5 and August 20 1981 10 men died on hunger strike at the Maze prison in a protest which attracted worldwide media attention. On the surface the Hunger Strike, and its 1980 predecessor, was in pursuit of five demands by republican prisoners. However, it is accepted it was about much more than that. It was about a refusal by republican prisoners to allow the British government to officially criminalise them. Prisoners started their protest for ‘special category status’ when it was removed in 1976. Refusing to wear prison clothes, they wore blankets and fashioned blankets into clothing, earning approximately 350 inmates the title ‘blanketmen’. In 1978 the protest was escalated after some prisoners were attacked when they left their cells to slop out. Prisoners subsequently refused to leave their cells to wash and spread excrement on the cell walls in a dirty protest. The IRA and INLA prisoners made five demands which they considered vital to re-establish their political status. • the right to one visit, one letter and one parcel per week. • full restoration of remission lost through the protest. In 1980 seven prisoners went on hunger strike in pursuit of the demands. The protest was called off after 53 days with Sean McKenna close to death. The prisoners believed a British government document -- which they had not seen -- had conceded the essence of their demands. However, when the 34-page document was studied, the prisoners found it fell far short of their demands. This was realised within days of the end of the hunger strike when prisoners were issued with civilian-style prison uniforms instead of their own clothes. Some observers believe that the British government had genuinely thought it had dealt with the problem but that subsequent problem arose in its implementation by prison management and staff. 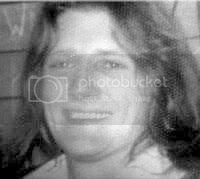 The second Hunger Strike began when former IRA prison OC Bobby Sands refused food on March 1 1981. This time prisoners joined the Hunger Strike at staggered intervals. In April 1981 Sands defeated Ulster Unionist candidate Harry West to win a seat as an MP in Fermanagh and South Tyrone following the death of sitting Independent MP Frank Maguire. Despite Sands’ election causing a diplomatic crisis for Britain around the world, then prime minister Margaret Thatcher refused to give in to the prisoners' demands. Sands eventually died on May 5 after 66 days on hunger strike. In a huge protest by nationalist Ireland tens of thousands of people lined the route of his funeral. In the next four months nine more men died while on hunger strike before the protest began to break down following interventions by hunger strikers’ families. On October 3 1981 the Hunger Strike was officially ended. Four days later, new Northern Ireland secretary of state Jim Prior conceded four of the five demands. The final demand, the right not to do prison work, was conceded when the British government agreed to allow prisoners to undertake educational study during prison work time. THE controversy over the 1981 Hunger Strike began in 2005 when former prisoner Richard O’Rawe, above right, published his book Blanketmen. He alleged that a possible deal which could have ended the Hunger Strike was rejected by the Sinn Fein committee which was managing the protest outside the prison. O’Rawe, a publicity officer for the prisoners, believed there could be a number of reasons for this, including a strategy to make political gain from the protest. He said the deal was offered after the death of Patsy O’Hara and just two days before the death of Joe McDonnell. He said then OC of the IRA prisoners, Brendan Bik McFarlane shouted “Tá go leor ann” (There’s enough there) to him when he heard the details. Both McFarlane and the Sinn Fein leadership have denied this version of events. Former Sinn Fein publicity officer Danny Morrison initially denied that any deal at all was offered. However, through Freedom of Information a number of documents have since emerged which appear to support a possible deal. These documents indicate that then British prime minister Margaret Thatcher was willing to give concessions on three and possibly four of the prisoners’ demands. At the time the offer was released verbally to the IRA leadership by Derry businessman and go-between Brendan Duddy who was known by the code name The Mountain Climber. Nothing in writing was ever offered. The offer was made after a statement by the prisoners in which they appeared willing drop the words ‘political status’ from their campaign while maintaining their five demands. The Freedom of Information documents claim a draft statement was given to Sinn Fein to be released after the prisoners had called off thee Hunger Strike. But Joe McDonnell died unexpectedly early and following serious rioting the Hunger Strike continued. Sinn Fein claims a close reading of the documents shows the British were not willing to agree to a settlement favourable to the prisoners. The party says people should not confuse a deal with an offer. THE LIVES of six of the 10 1981 hunger strikers could have been saved in a deal which was acceptable to the prisoners, according to former taoiseach Garret FitzGerald. In an interview in today’s Irish News, the architect of the Anglo-Irish Agreement also reveals for the first time that the Irish government had a mole within the Maze prison. The then Fine Gael leader says he believes a deal proposed by the British after the death of the fourth hunger striker in 1981 was vetoed by the Sinn Fein leadership – a claim rejected by Martin McGuinness. “[The prisoners] were keen to accept [the deal] – we had our sources within the prison,” Dr FitzGerald says. However, he did not elaborate on the status of the mole and whether he/she was a prisoner or a member of staff. In today’s special investigation, Mr McGuinness also reveals for the first time that he was the conduit for the offer from the British government which he says was passed to him from the intermediary Brendan Duddy. Mr McGuinness, who has never previously confirmed if he played a role during the hunger Strike, reveals that the message was then passed to Gerry Adams in a phone call and on to Danny Morrison who took it to the prisoners. However, Mr McGuinness disputes claims that there was a deal on the table that was acceptable to the prisoners and accuses Sinn Fein’s political opponents of attempting to portray Margaret Thatcher as being someone who was anxious to solve the dispute when she was “a ruthless, hypocritical enemy”. Fein leadership blocked the deal for political reasons. The strike resulted in not only the death of 10 IRA and INLA prisoners, but led to serious street violence which caused dozens of deaths. Dr Garrett FitzGerald is convinced that, if the IRA had allowed them, the 1981 hunger strikers would have accepted either of two deals on offer to them in the days and hours before Joe McDonnell became the fifth man to die. The former taoiseach bases this belief on, among other things, intelligence supplied to him by a heretofore-undisclosed Irish government source in the Maze prison in 1981. Now 83 years old, Dr FitzGerald admits the 1981 Hunger Strike changed his view of relations with Northern Ireland in a way that ultimately led to the Anglo-Irish Agreement of 1985. Elected to the Dail in 1969, the future taoiseach was already the intellectual driver of Fine Gael when he first took his seat. His two major areas of expertise were the Irish economy and foreign affairs through which he had a special interest in the north. He served two periods as taoiseach, leading coalition governments from July 1981 to February 1982 and later from December 1982 until March 1987. On his first day as taoiseach he was thrown into the maelstrom of northern politics and one of the defining periods in Irish republicanism. After receiving his seal of office from President Patrick Hillary on June 30 1981 Dr Fitzgerald and his Labour tanaiste Michael O’Leary were faced with the prospect of further hunger strike deaths. At the time the Catholic Church’s Irish Justice and Peace Commission was working towards a possible solution to the standoff between republican prisoners in the Maze and the British government. “Despite an IRA statement [describing a British response to an Irish government statement as arrogant] the prisoners wanted the commission to continue its involvement,” Dr FitzGerald said. While there was contact between the British government and the republican movement, Dr FitzGerald is adamant that his government never spoke to the IRA. “The only contact ever with the IRA was at the Europa hotel when one of the IRA stopped one of our officials and talked to him, looking for us to let them run free – they were having some negotiations about a ceasefire – to let them do what they want and not arrest them to which we paid no attention,” he said. Dr FitzGerald believed it was a mistake by the British government to maintain contacts with the IRA. He believed that any contact with government encouraged the IRA to believe that its campaign of violence would eventually lead to negotiations. “Unless they were willing to have a settlement they should not have been involved,” he said. On taking up the position of taoiseach Dr FitzGerald was briefed about the situation in the north. He believed the efforts by the Irish Justice and Peace Commission (IJPC) would lead to a solution before the next death – that of McDonnell. At Dr FitzGerald’s request the IJPC was granted a meeting with NIO minister of state Michael Allison who gave the impression that he wished to be conciliatory. Mr Allison cleared the way for the IJPC to visit the prisoners who afterwards issued a more conciliatory statement than the messages coming from Sinn Fein outside the prison. The prisoners said they were not seeking special privileges over other inmates. Dr FitzGerald said at this stage on July 3 he believed events were moving towards a solution to the Hunger Strike without any more loss of life. Around this time Dr FitzGerald said Sinn Fein president Gerry Adams was contacted by Britain’s MI6 and a deal parallel to the IJPC was worked out. “He was delighted the British were running to him and he did get an additional offer to the IJPC offer. It is my recollection that he got an offer on [access for prisoners to] the Open University which wasn’t in the IJPC offer,” he said. Mr Adams contacted the IJPC to notify it of his talks and urge that it contact the NIO to cancel a planned meeting, clearing the way for him to continue negotiations. The commission refused to do this, believing they could achieve a protest-ending deal, Dr FitzGerald said. “I felt that the deal which had been worked out [by the IJPC] we were talking about finishing – and which the prisoners accepted – that should go ahead and I kept on to the British about that,” he said. “But [the British] had interfered with that and I didn’t trust the IRA about it. “The fact was once the prisoners had a separate position from the IRA and were not pressing for the fulfilment of all five demands there was clearly a chance of moving. Even after the IJPC pulled out, the former taoiseach believed the prisoners were ready to accept the new deal if they had been allowed to do so by Sinn Fein. “They were keen to accept that. We knew that. We had our sources within the prison,” he said. Dr FitzGerald said he would co-operate with any official inquiry although he felt it was pointless as he believed the leadership of the IRA would not provide an accurate account of what happened. Following the death of McDonnell, Dr FitzGerald still believed a solution could be found because the prisoners had indicated a willingness to accept the ICJP deal. For 10 days he pursued the ICJP deal with Britain but no agreement was reached. All negotiations over a possible solution ended and in total 10 men died before the Hunger Strike was ended.